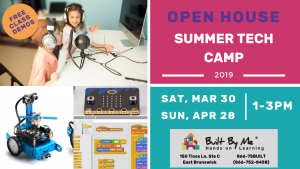 Stop by for free class demos and to learn more about our fun Summer Tech Camp. No registration required. "Built by Me" and "The Learning Center for the 21st Century" are trademarks of Built by Me LLC.